Like far too many families, Tamara* and her three children became homeless when they fled domestic violence. Tamara knew that she had to make a radical change in her life when her ex-husband pulled her from her car to attack her on a busy street. He had been abusive before, but she had hoped that the order of protection that the court had granted would protect her and her children. With this latest assault, she realized that unless she took extreme measures, her ex-husband could one day kill her and leave her children without a mother. Tamara mustered the courage to leave her hometown, her job, and all of her support systems behind in the hopes of a better life and a new start for her children. 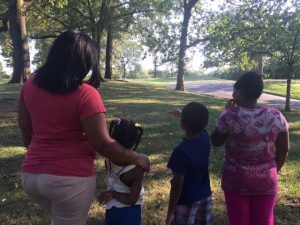 Tamara drove her children and her possessions to Georgia, where they bounced between shelters and extended-stay hotels while she searched tirelessly for a long-term solution. Her persistence paid off: after calling Nicholas House, she entered our shelter program. Nicholas House immediately provided her family with a safe place to live. They received much-needed support services that focused on providing them access to multiple resources that would help Tamara safely care for her children and regain employment. With only a short stay, Tamara was able to secure a job and move her family into their own three-bedroom apartment. She credits her time at Nicholas House for teaching her to think ahead and be proactive about planning for the future. Like many parents facing homelessness, Tamara was motivated to get back on her feet. She just needed a little support and Nicholas House was there for her. We congratulate Tamara on her determination to become self-sufficient and rebuild her life. Now, her future looks bright—and she hopes that her children will learn from her example. *Name and some identifying details have been changed to protect her identity. 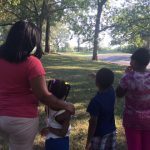 Like far too many families, Tamara and her three children became homeless when they fled domestic violence.